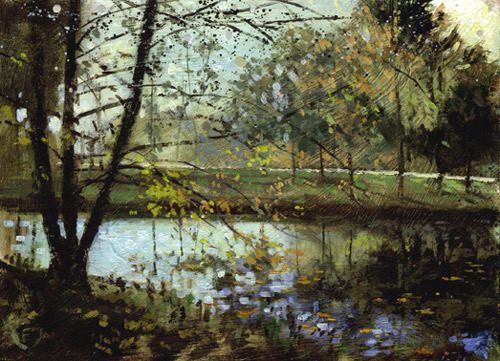 This category attracted the largest number of nominations and there are four paintings in the vote-off. 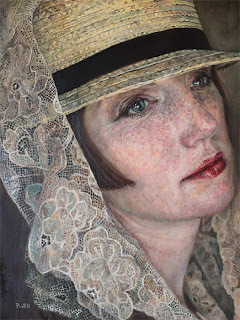 I'd like to make it clear that paintings of the whole figure and figurative paintings of groups of people are also very welcome in this category. 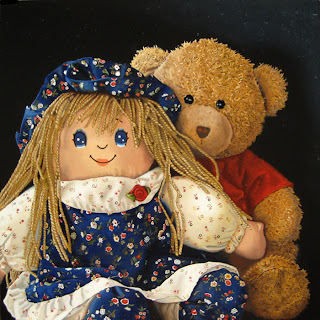 (Also contrast the result of a search for Google images for the search "figurative painting"!). I went searching for figurative paintings - but there's not a lot to be found despite the fact there is a huge tradition of creating paintings with several full length figures in art history. I'd call that a niche ripe for exploiting! I always like to try and include a drawing in the portrait section if possible and this year I had a choice of two. For me "Black Sun" by Dirk Dzimirsky (Dirk Dzimirsky - Drawings) had the edge. 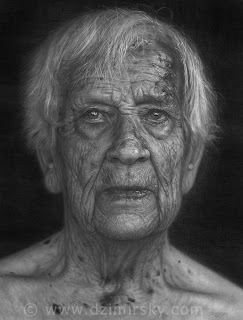 He demonstrates an excellent mastery of the art of the pencil and the tonal range. However it was great to see a silverpoint drawing nominated for this award. I'm always very pleased to see the full range of traditional portrait media being nominated. Painting children is perhaps the most difficult thing a portrait painter ever has to do. The proportions of the head are all completely different when they're babies and the freshness of the skin complexion and surface texture is completely different to that of an adult. Then the're the fact they sit, stand etc differently. I really liked "Scarlet" by Zachary Proctor (Sketchbook), the fact that she "looked like" a child (the mouth is a joy!) and that the palette was complementary in a way which spoke of a childish time. Lots of understatement in this very effective portrait. Having started The Art of the Landscape blog I am now than a bit familiar with an awful lot of landscape art blogs. I could have filled all the nominations myself and still had some spare. Consequently I needed to look for aspects which had not been satisfied by the nominations which I selected for the shortlist. I absolutely agree with both William Wray (William Wray) and Casey Klahn about this painting! 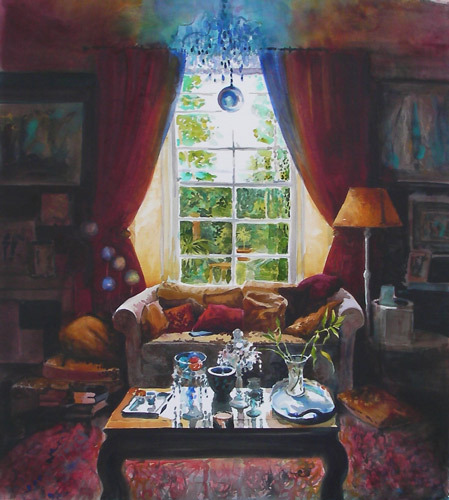 Too few people do paintings of Interiors - and yet this is a subject which attracts commissions. Sarah Wimperis (The Red Shoes) added another string to her bow this year in paintings of aspects of domestic environments. The two nominated works I choose for the short list are both hyper realistic - albeit very different in their compositions and palettes. I've admired Jelaine Faunce's work for a long while. 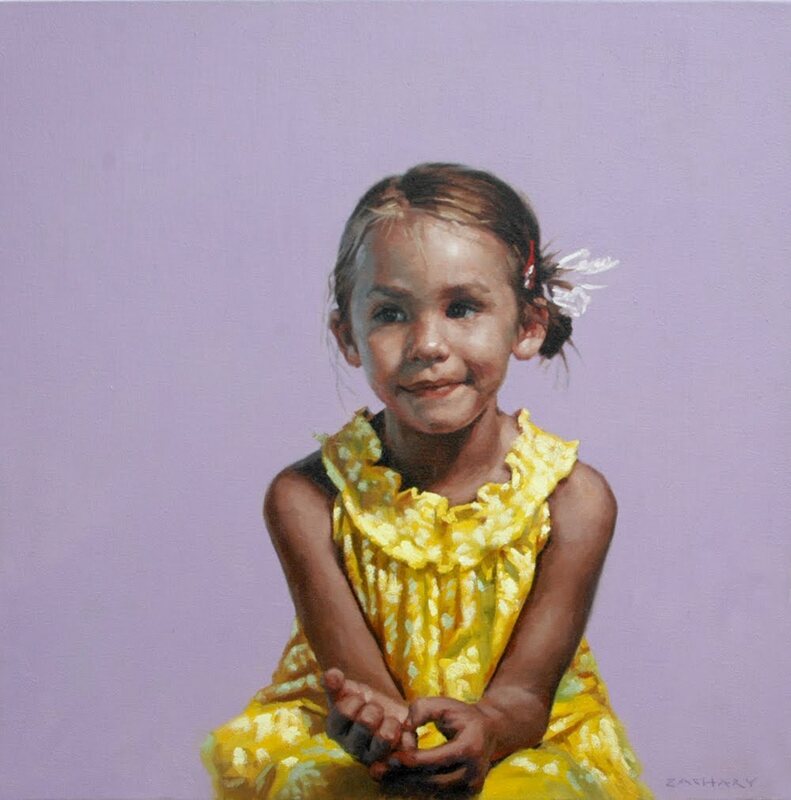 To me she very often meets that tricky challenge for the realistic artist - where one clementine looks pretty much like another clementine - of finding subject matter and design which lifts a painting out of the conventional and makes it "of the artist". 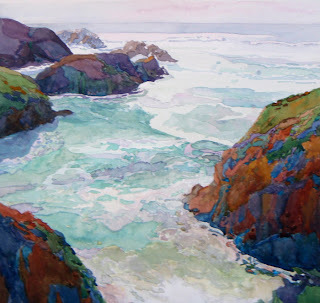 I'm not at all familiar with Alex Zonis's work but can certainly vouch for the fact that the painting is indeed a painting! I decided to find a contrast to the realistic images and nominate a work which was more impressionistic. Lisa Daria was last year's winner of the Painting A Day Stickability Shield (which has a number of well known winners). 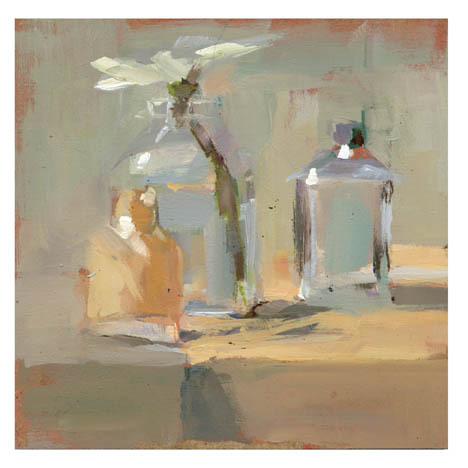 What I liked about the painting I chose was that it illustrated for me how a pretty light muted palette and good design can be used to create a painting which says "look at me". 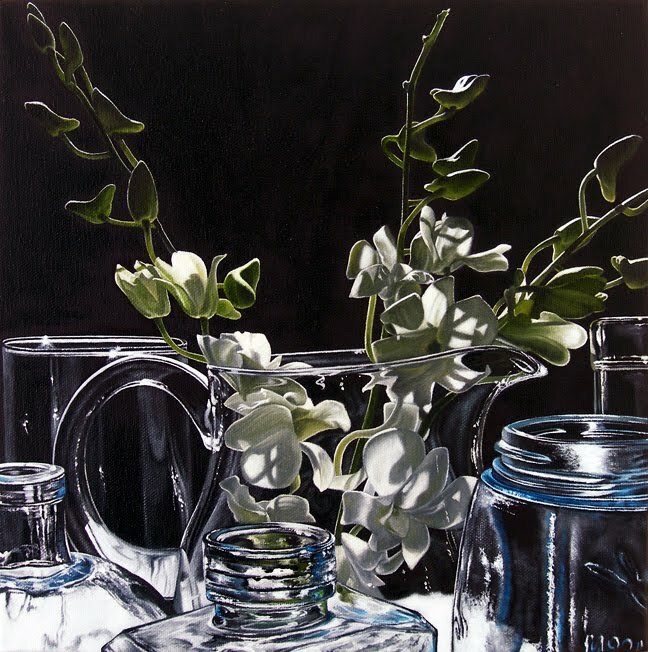 I've also selected a contemporary still life by Nicole Caulfield (Nicole Caulfield) with a narrative line within the image and one which is also part of a series. 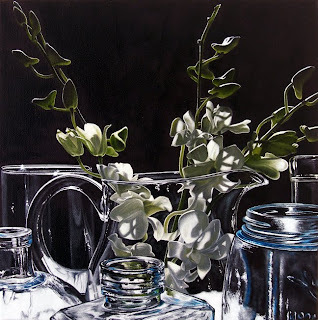 Both features are very much associated with classical still life art and are all to often missing from a lot of the still life work I see online. 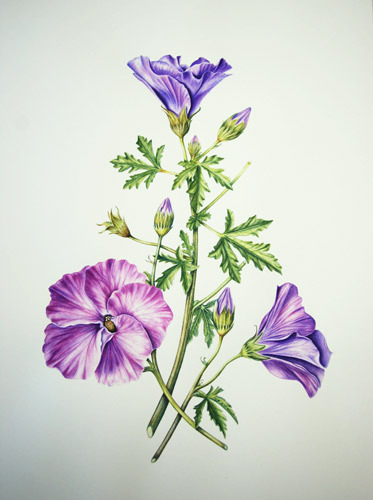 Australian artist Vicki Lee Johnston (Vicki Lee Johnston) explained that she couldn't get me a better image for the nominated painting as it's currently in the UK being assessed for the Diploma in Botanical Illustration which she's studying with the Society of Botanical Artists. Those thinking of doing the Diploma should take a look at Vicki's blog. I was very impressed with Suzanne Berry's other insects in the insect series on her blog (Suzanne Berry). I've viewed Tracy Hall's paintings on her blog Watercolour Artist Diary and in exhibitions for a while now. The miniature painting in watercolour of a Sanderling is an excellent example of the use of an unusual format and of giving environment context to a subject in nature. Note also the size. If you're interested in why work gets chosen, read a couple of posts which provide context for making a selection - here are my thoughts on Selection, jurying and must-see lists and Juried art competitions - does size matter?. 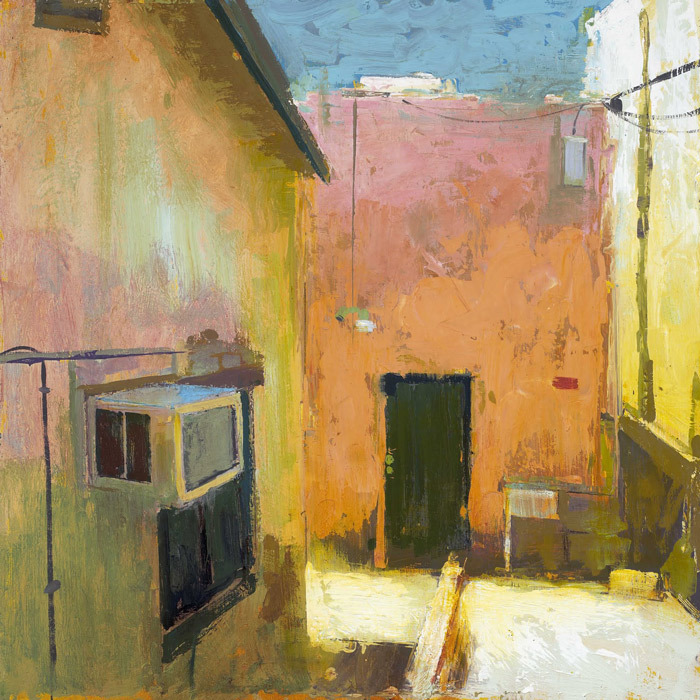 For the record, one of the things I do before selecting each work is review other work on the artist's blog to see if it is representative of their work during the year. Also, one of the reasons why I stop trying to review an artists work is when it's just too difficult. I couldn't quite believe how many of the artists I like make it difficult to access work done in the past! I'll be writing a post about this in the New Year. Do you agree with the selection? Which work would you have selected? Do you have a piece you wish you'd nominated? Katherine, wow! Thank you so much for nominating me. I am honoured. What happened to voting in other categories? I'm not quite sure what you mean David. Did you click the "read more" link? There's no voting for the other Making A Mark Awards - it's only ever been for the "best picture'. Yes, I did mean the others beyond these Best Picture Awards. You already answered my question, thank you. On another note, apparently I made a mistake for my nomination in Natural World category. 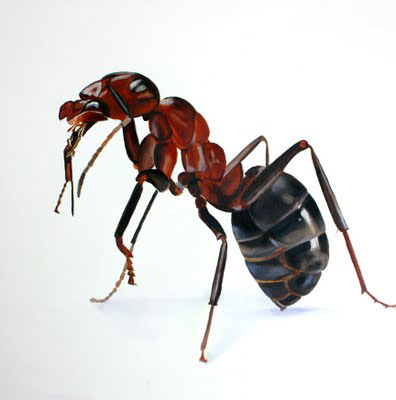 Suzanne Berry informed me her painting of the ant was created using a photograph she did not take. This is my fault since I somehow missed the part about it is up to the nominator (me) to notify the nominee (Suzanne) of the award AND the rules/conditions. Even though I was sure I read it all I still missed that important little fact, otherwise I would have not gone forward with it. My sincere apologies to Suzanne, You, the other artists in this category, and all your readers.